The "Keshowakusei" is a reasonable cosmetic line for convenience store customers. The main target is ones who take an overnight trip in accident. Therefore this line features reasonable and small sizes. However girls like something cute. So we have aimed to design the package to be "Kawaii" (cute in Japanese) and happy to have. Moreover cosmetic packages have to show their function with the forms and colours. 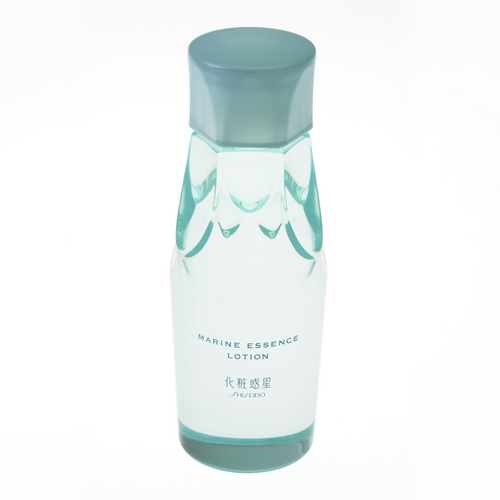 For example, the lotion bottle has pure pale blue-green because the lotion is "drink for skin" and contains marine minerals. Copyright (c) Kanaé Design Labo All rights reserved.